Everyone loves brownies. I remember thinking that brownies were the easiest things to make back when I was about 11. It seemed like mere child’s play, melting chocolate and butter and then just combining all the ingredients together. However, as I got older and experimented more and more in the kitchen, I realized that making brownies weren’t all that simple. Yes, you will (almost) always get something that looks like brownies coming out of the oven. 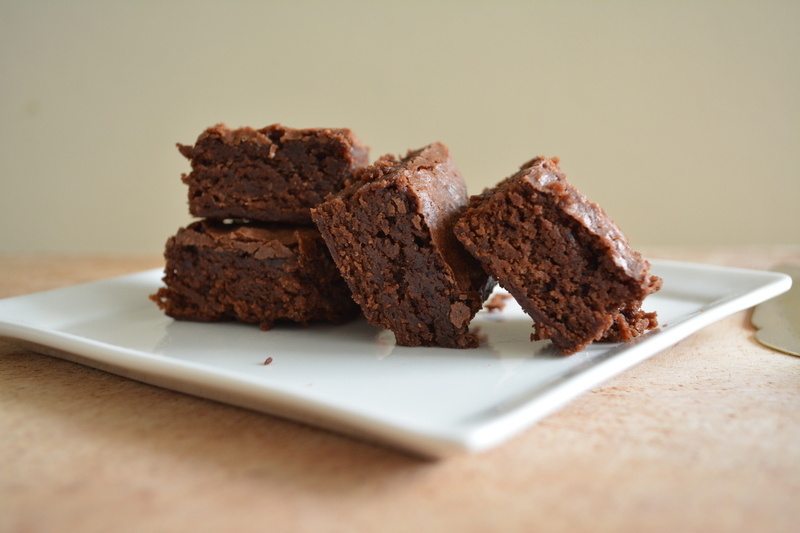 But what is really tricky in perfecting your brownie is ensuring that it comes out at the right time. Bake it too long, it comes out dry. Bake it too short, it comes out too gooey. Another thing is when the eggs are added in. Overwhisk the batter and it just becomes kinda dense. I could never ever find a brownie that I really liked till I tried this one from Cook’s Illustrated. It has that decadent gooey texture that is hinges on perfection. 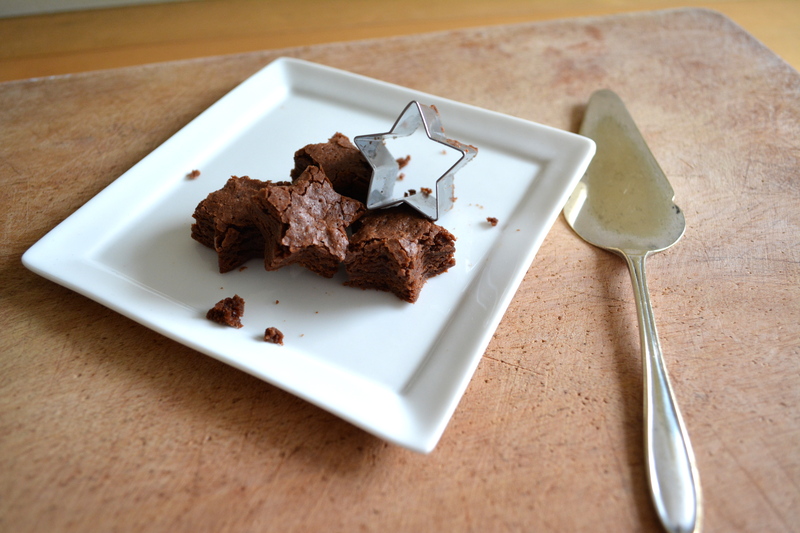 Furthermore, it tastes splendid by itself, meaning to say that the recipe is solid enough for it to be a standalone piece (yes, I like my brownie without nuts and frills). 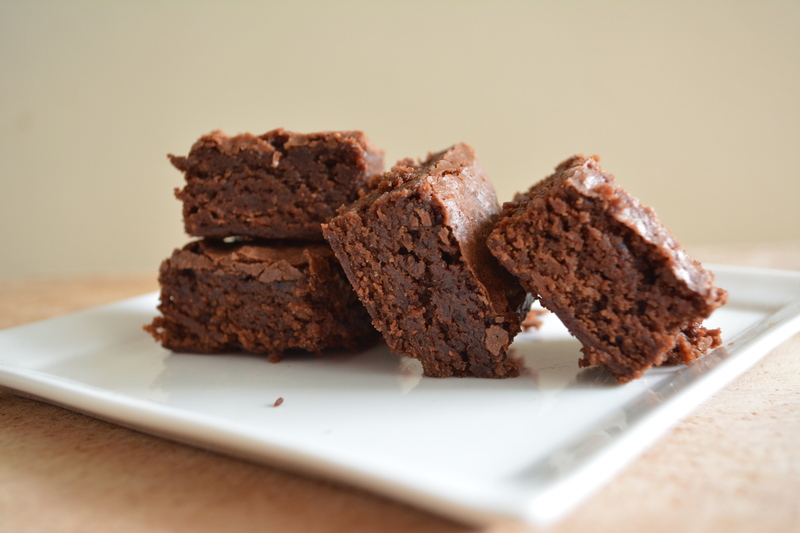 Simple to make and easy to whip up, all you need to do is make sure that you have patience when making the brownies. Serve these slightly warmed with a scoop of vanilla ice-cream and your entire day will be made. Adjust oven rack to middle position; heat oven to 170 degrees celcius. Cut 18-inch length foil and fold lengthwise to 8-inch width. Fit foil into length of 13 by 9-inch baking dish, pushing it into corners and up sides of pan; allow excess to overhand pan edges. Cut 14-inch length foil and, if using extra-wide foil, fold lengthwise to 12-inch width; fit into width of baking pan in same manner, perpendicular to first sheet. Grease foil. Melt chocolate and butter in large heatproof bowl set over saucepan of almost-simmering water, stirring occasionally, until smooth. (There is an alternative of using the microwave but I don’t quite like this as the texture doesn’t turn out as good when I do that). When chocolate mixture is completely smooth, remove bowl from saucepan and gradually whisk in sugar. Add eggs on at a time, whisking after each addition until thoroughly combined. Whisk in vanilla. Add flour mixture in three additions, folding with rubber spatula until batter is completely smooth and homogeneous.